My first band, formed in 1981, where it all started (and probably ended). 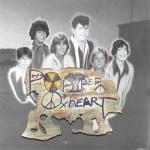 Popped Oxheart was a cosmic abortion: the 1981 L.A. punk band that lasted little more than a day, made up of six 13-year-old flotsam from John Burroughs Jr. High; a first, last, and only four hour rehearsal; immortalized on cassette in “Jay’s Garage”. 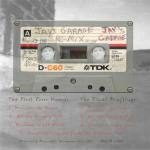 In 2006, Jay Fienberg (also of Slobot) produced a digitally remastered “Jay’s Garage - 25th Anniversary Mix” from the original cassette.